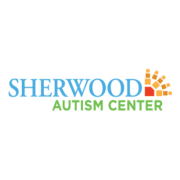 The mission of Sherwood Autism Center is to empower children and adults with autism and related disabilities to maximize their potential in family and community life. Founded in 1974, Sherwood Autism is the first Kansas City organization to provide special education services for children with autism. The organization provides Special Education for students ages 5-21, along with Adult Day Services for those who are over 21. Adult services also include prevocational and vocational training. Would you recommend Sherwood Autism Center?